More uniqueness...Because A Unique Florist didn't initially have a large refrigeration unit for their flowers, owner Terri Head makes a daily early morning trip to the flower markets in downtown Los Angeles to stock up for the day. 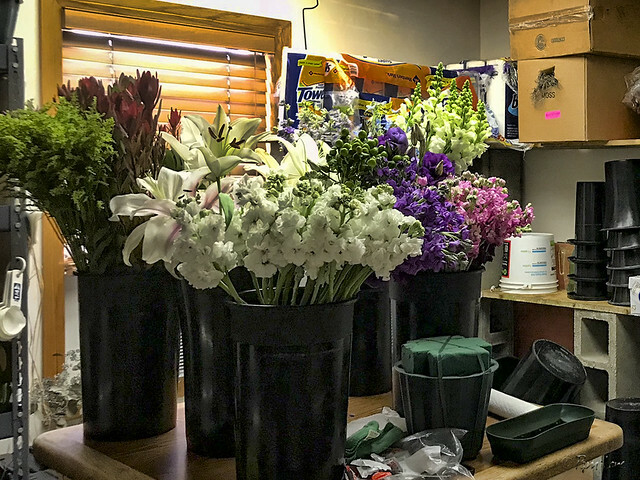 A trip to the flower market is a fun outing for anyone who enjoys flowers—if you don't have to do it every day! Terri also loves cats. She adopted a family of stray cats at her previous location several years ago, and one of them is still with her. 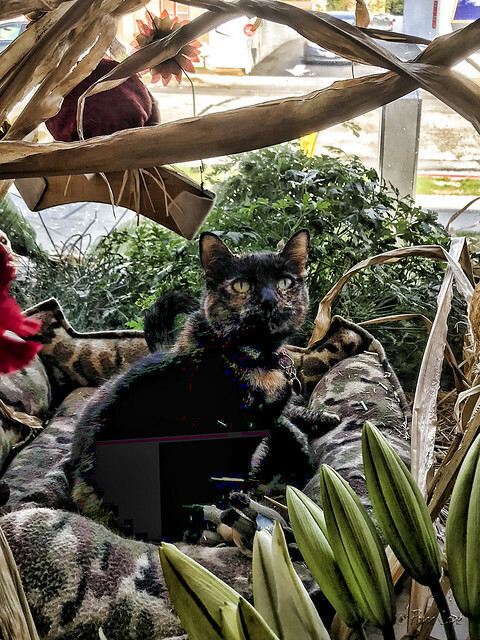 This pretty tortoiseshell kitty has her own bed in the window, and only reluctantly interrupted her nap to acknowledge me. 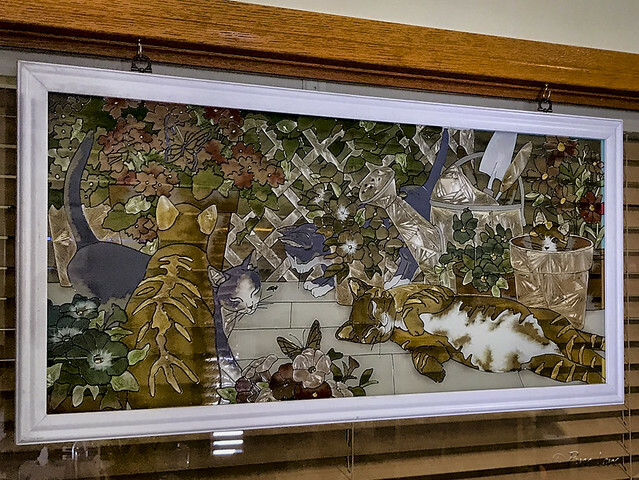 In addition, a large stained glass panel celebrates cats.